GIVE YOUR HOME/BUSINESS SOME LOVE!!! GARDEN LANDSCAPING/DESIGN - weeding, lawn mowing, grass strimming, flower bed planting/ re-arranging, hedge trimming, tree cutting, leaf gathering, paving, stoning etc. POWER WASHING - yards, patios, paths, driveways, roofs, walls. CARPET & UPHOLSTERY CLEANING - carpets, spot/stain/odour removal, furniture. PAINTING & DECORATING - interior AND exterior paint work, wall paper hanging. All work carried out to PROFESSIONAL STANDARDS. 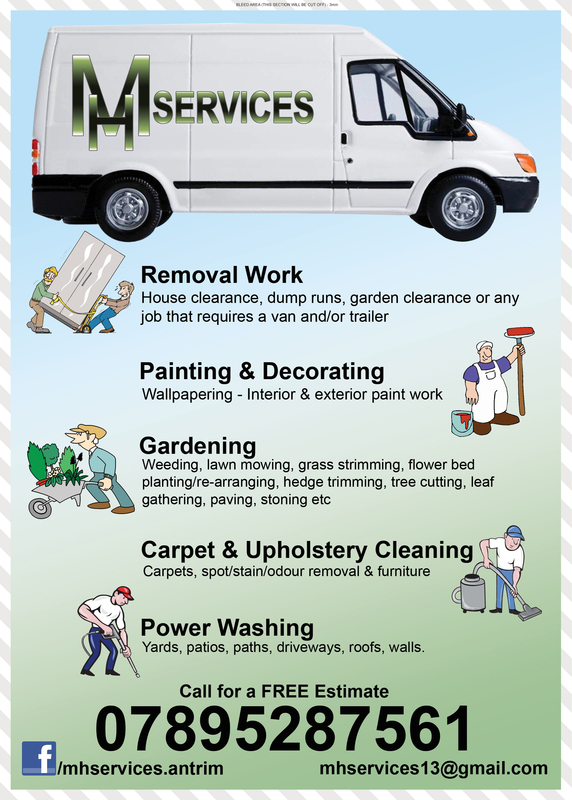 Call 07895287561 for a FREE ESTIMATE.